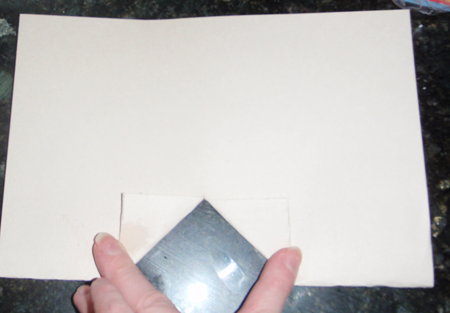 Cut a slit about an inch long in the middle of the folded side of the piece of paper. 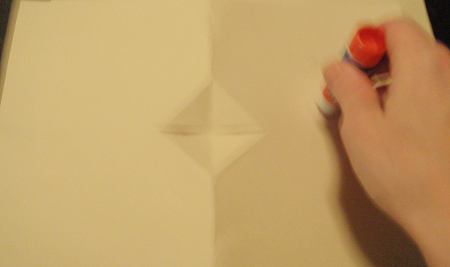 Now fold a corner to the left and to the right at the slit (like shown above). 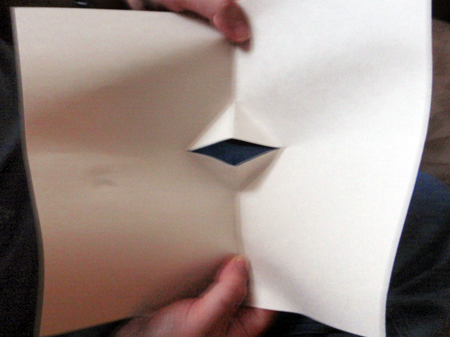 This part is hard to illustrate, but fold the paper in the opposite direction and push the crease inwards. 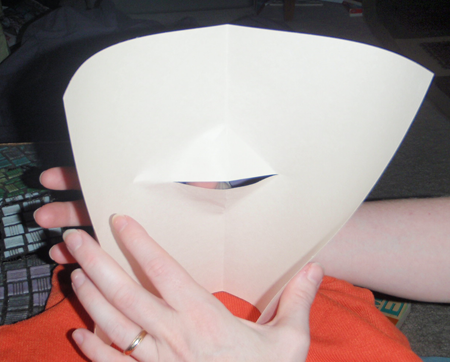 You might have to push the paper in different direction for the Turkey’s beak to start to look like this (shown above). 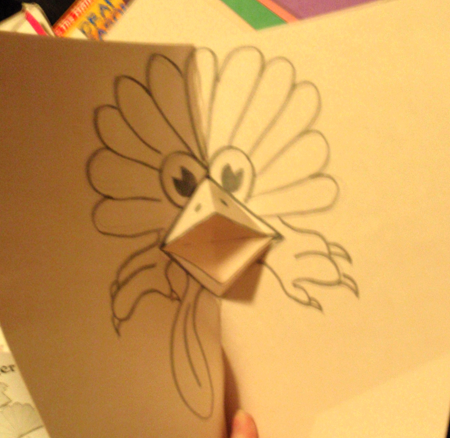 After being able to get the piece of paper to look like the step above, then turn the paper upside down and glue everything (BUT DON”T GLUE THE BEAK). 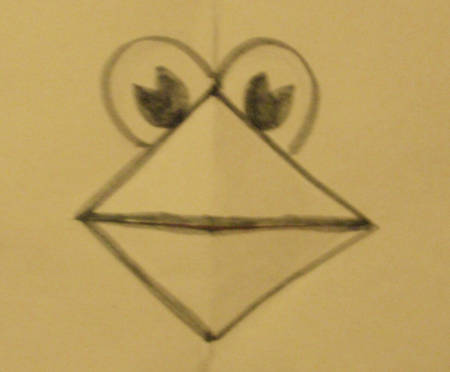 Then glue it to the 2nd piece of paper (BUT DON’T GLUE THE BEAK DOWN). 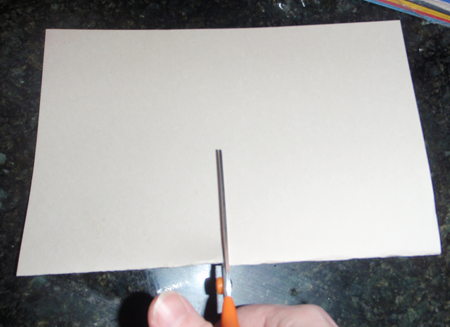 After the glue dries….start drawing the turkey’s face. First draw it in pencil … later outline in marker. 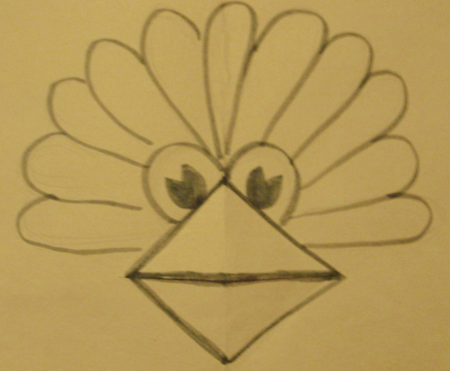 Draw the turkey’s beak first. A triangle on top of the slit, and a triangle on the bottom of the slit. 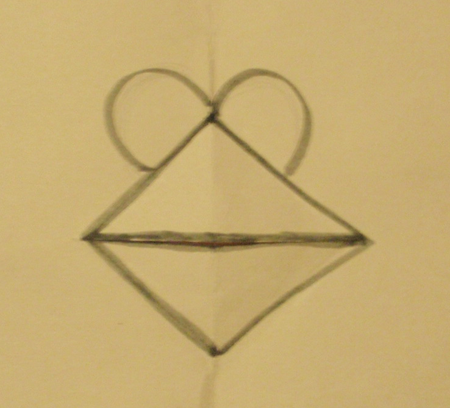 Also draw 2 circles above the top triangle (don’t draw over the beak though). This also looks like a sideways number ‘8’. Now put 2 cirlces (with a pizza slice triangle cut out of that circle for a highlight in the eye) inside the bigger circle for the Turkey’s irises. 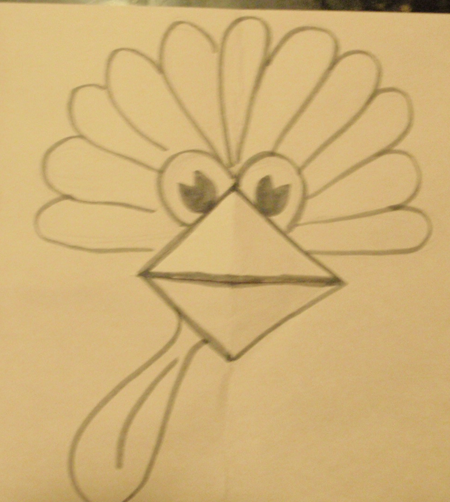 Draw the turkey’s ’snood’ (the thing that hangs down over the turkey’s beak. The snood sort of looks like a letter ‘U’ shape too. Now draw the turkey’s feet … I see a ‘3’ in the right foot and a backwards ‘3’ in the left foot…try to visualize these to draw them easier. Also draw 2 nostrils in the turkey’s beak. 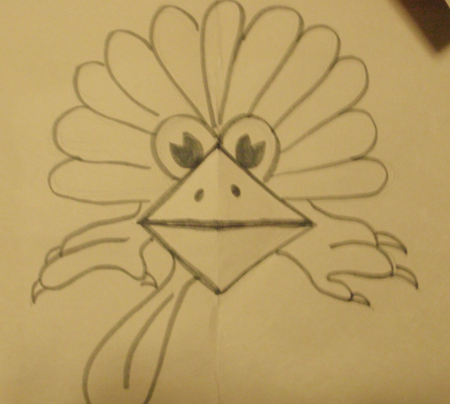 When you open and close this Thanksgiving card, you should see the beak open like this. If you want to, write ‘Gobble Gobble’ inside the Turkey’s mouth or write ‘Happy Turkey Day’ or ‘Happy Thanksgiving’ in the Turkey’s mouth. 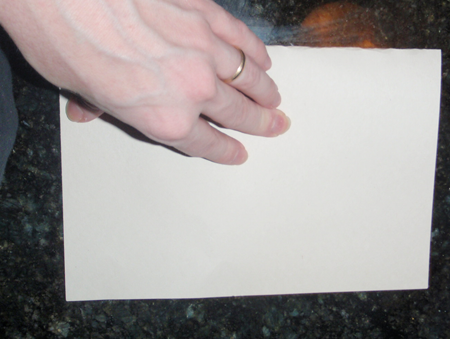 Or just leave it blank. 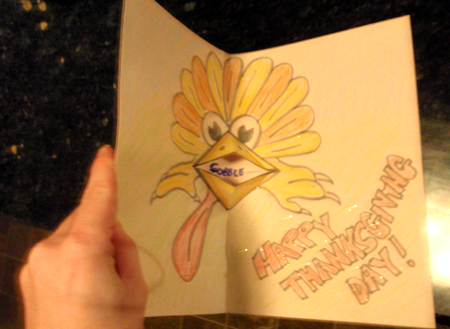 Color in your Thanksgiving Pop Up Turkey Beak Card and impress your family members and friends with your handmade card.